Shape: . :pink - insidious:. "Vicious" shape for . 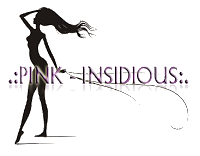 :: Designer Circle ::.
.:pink - insidious:. will be releasing a new set of fun poses and a brand new shape for . :: Designer Circle ::. which will be featuring several other designers starting Monday 09/17/2012, and will run until Saturday 09-29-2012! Poses: PrincessMode "Vicious Poses" for . :: Designer Circle ::.